Now that we’re well into February, and you’re both animal lovers and pet health insurance enthusiasts, you probably know that it’s National Pet Dental Month. You might be surprised that a dog trainer, like myself, would be concerned about the dental health of animals I work with, but the health of your dogs’ teeth is important for many reasons. 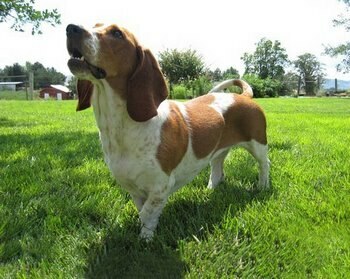 Recently I was called out to work with a client whose Basset Hound, Billy, was suddenly exhibiting severe aggression. I worked with Billy as a puppy and periodically when his family wanted him to learn new behaviors. Billy had never exhibited any aggression and had always been a happy, healthy and active dog. I was curious what was causing the sudden aggression. Any time, a dog has a sudden behavior change, my first concern is that there may be a pet health issue. Often medical issues manifest themselves as behavior issues. While discussing recent events in Billy’s life, I searched for something that may have caused him to become aggressive. One of the children sadly told me that Billy stopped playing with his toys and would not even chew his favorite bones. After thinking about this, Billy’s owner told me they had purchased a cow hoof for Billy. That day Billy chewed on the cow hoof for a while then suddenly stopped chewing. That night he would not eat his dinner and the next day he seemed sad and grumpy, even snapping at one of the kids when they wanted to play with him. That is when they called me. I recommended the family take Billy to the vet for a dental check-up. Later that day I received a call from the family who reported that Billy had a broken tooth. The veterinarian repaired the dog’s tooth and the aggressive behavior has stopped. Billy was obviously in pain from his broken tooth and a bit grumpy. Your dog’s dental health is very important. I recommend you brush your dog’s teeth as recommended by your veterinarian, give your dog good safe dental chews, avoiding chews that are too hard and examine your dog’s mouth daily to make us his teeth are healthy. Since this is Pet Dental Health month, it is a good time to make and appointment to see your vet and have your dog’s teeth checked. Your vet will also help you develop a good plan to keep your dog’s teeth healthy. For more information about pet health and dog insurance, visit Pets Best Insurance.